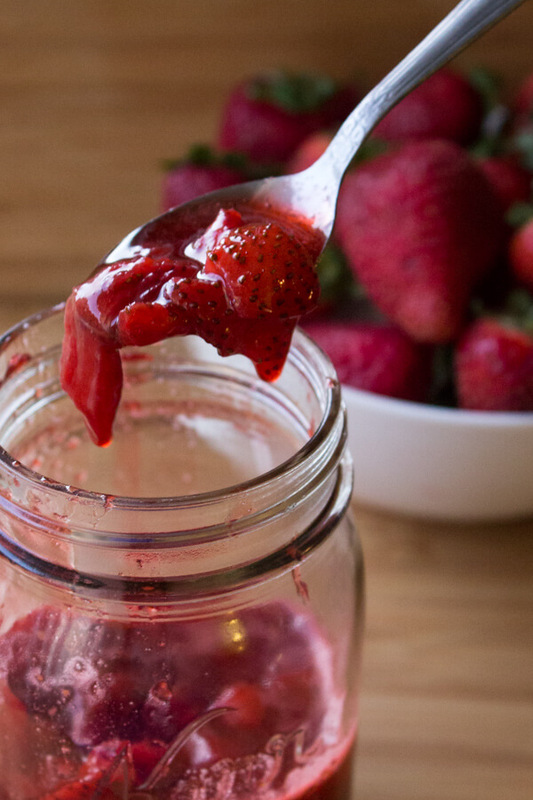 Make your own strawberry sundae sauce from scratch with this easy recipe. Ready in minutes, made from fresh strawberries & totally delicious – it’s way better than any ice cream parlour. I love summer. Hot weather, long days, cold drinks, tons of ice cream. I’ve been mourning the end of August since… well, September 1st. So I decided to continue the summer mindset by eating more delicious cold and creamy ice cream treats. Hey – you might not be able to control the days, but you have 100% authority over your ice cream intake. So – let’s rejoice in ice cream happiness (and drown our end-of-summer sorrows) with a sundae!!!!! 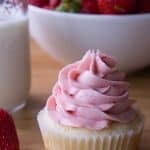 Strawberry Sundae – it’s your time to shine! Now, making your own sundae sauce might sound virtuous. But trust me, it’s crazy easy. You’ll actually be embarrassed by how easy it is. (But I completely support feeling fancy because you made your sundae sauce from scratch). And your kitchen will smell AMAZING with the aroma of fresh strawberries. 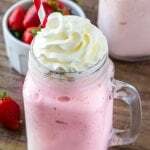 For this strawberry sundae sauce, you’ll simply cut up your strawberries and add them to a medium-sized saucepan with some caster sugar, lemon zest and vanilla. You won’t really taste the lemon per say – but it’s adds a nice little zing to your sauce that goes so deliciously with ice cream. Then, you’ll boil up the mixture on medium to medium-high heat letting it bubble for about 5-10 minutes and you’re done. You’ll need to stir it occasionally to make sure it doesn’t burn – especially if your saucepan isn’t heavy-bottomed – but that’s really the only trick. If you like a thicker sauce you can also add about 1 teaspoon of cornstarch. But the sauce will thicken as it cools, so be careful not to be heavy handed. Now, I like my sundae sauce to still have chunks of fresh strawberries in it. 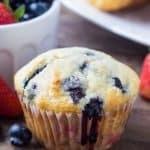 But if you prefer it to be more of a coulis without the strawberry pieces, simply add your sauce to a food processor or blender after it’s finished boiling (and cooled down a bit) and blend away. Either way, this sauce is delicious on vanilla ice cream! Maybe you’re healthier than me and like frozen yogurt? Go for it! Or maybe add a few chocolate chips to your strawberry sundae? Either way – this sauce makes the BEST Strawberry Sundaes! Who said it has to be summer to eat ice cream???? Cream Cheese Pound Cake – I love this pound cake with whipped cream & strawberry sauce! 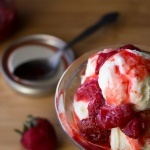 Make your own strawberry sundae sauce from scratch with this easy recipe. Ready in minutes, made from fresh strawberries & totally delicious - it's way better than any ice cream parlour. Add the strawberries, sugar, lemon zest & vanilla into a medium-sized saucepan with a heavy bottom. Turn the heat to medium to medium high and allow the mixture to boil for 5-10 minutes while stirring occassionaly. When the mixture is done the strawberries should be soft and a syrupy-sauce should have formed.